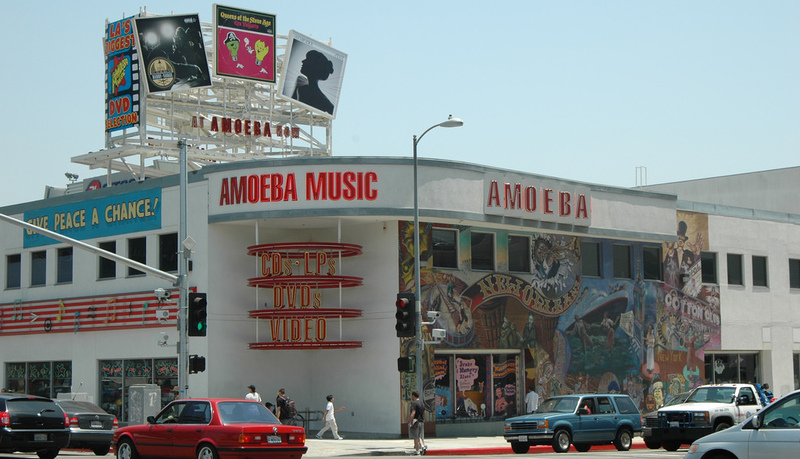 Is Hollywood's Amoeba Records Closing Or Not? The entire world erupted in disbelief when news came out that the treasured record store Amoeba Music might be closing down in the near future. Could it be true? Is Amoeba Muisc going to be gone forever? Let's get down to the bottom of these swirling rumors that our beloved Los Angeles staple will disappear. 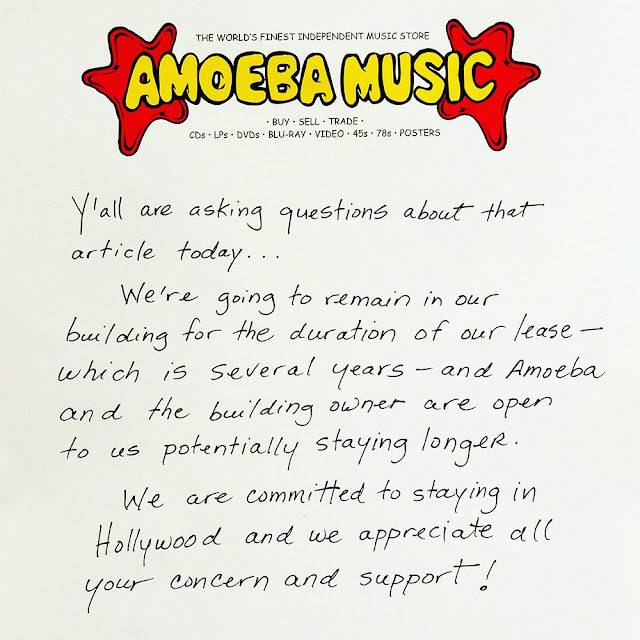 Looking at all sources carefully, the truth seems to be that the property was sold to new owners & Amoeba Music will have to negotiate a deal if they want to stay in the future. Is a corporate wrecking ball coming to destroy Amoeba Music forever? Well, no. Amoeba boasts store-front ownership in Berkley & San Francisco, not just Hollywood. We wish their brand & company much success. However, will Amoeba Music be staying in Hollywood? For now, yes. But it's future is certainly under negotiation. If you're looking to print, order & receive high-quality headshots, look no further! We have made it incredibly easy & hassle free for you. Our quality & turnaround times are unparalleled. Let's not waste your time. Watch the video below & follow the steps! Copymat Hollywood is a legendary printing business right in the heart of Hollywood. Serving the Los Angeles community for over 30 years, you can trust that the quality will be top-notch & the price will be industry-leading. Copymat has also provided he entire world with printing as well! We ship & deliver all over the globe. A headshot is a photograph of a person's head commonly used in film, tv & movie auditions. In the modern age of television & film, head shots are mandatory for actors & actresses. Without them, you will not be taken seriously in an audition! You'll want to have the proper layout & dimensions as well. At Copymat Hollywood, we are experts at getting you prepared for your next audition! 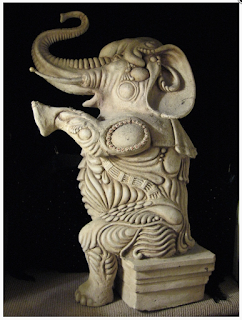 "As an artist he has worked for most of the major studios in Hollywood, sculpted Michael Jackson twice for the fabled Tower Records Building on Sunset Boulevard, and has painted Barbra Streisand, Cher, and Martin Luther King, Jr. Mr. Bermudez created mega-sculptures for Las Vegas hotels such as the MGM Grand, Caesar’s Palace, the Venetian and Paris Hotels, and the world’s largest three-dimensional billboards for Jurassic Park the Ride at Disneyland and LAX, as well as created the prototype for “Alien Encounter” at Disneyworld, Florida." Bruce’s all-original New Orleans-flavored rock band, Catahoula has been his latest artistic endeavor. We caught up with him to to talk about his past, his present, his future, his interests & much more! Wow! 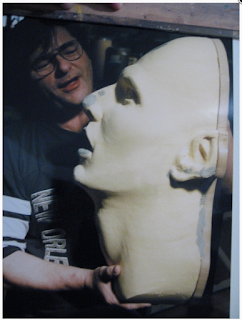 Music, film, sculpting, special effects, architecture. You're a true artist & jack-of-all-trades. How early on did you know you were an artist? At age 9, I sculpted an entire Jurassic landscape including a T-Rex, Stegasaurus, Brontasaurus + a volcano. 45 years before the movie came out! Singing + playing for President Lyndon B. Johnson at the White House, and The Queen of England at the London Palladium. Jurassic Park - I worked on it! Tell us about some sculpting you've done & architecture! 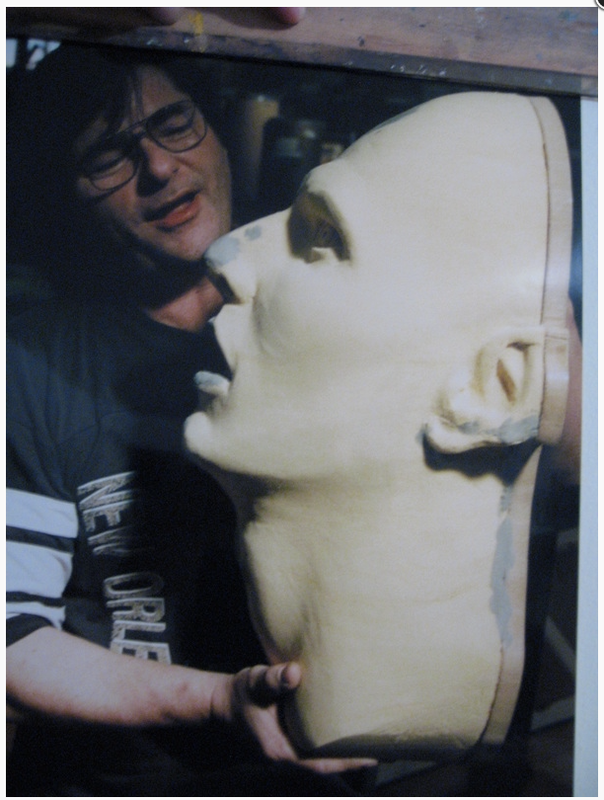 I sculpted Tom Cruise's head for "Interview with a Vampire", many mega-sculptures for Las Vegas casinos, Hollywood studios + more, always applying my architectural background. Favorite place to eat in Hollywood? Favorite place to relax in Los Angeles? What are some of your goals for 2017 & Beyond? Complete Catahoula's next album + have some hit songs! If you have ever met my beautiful wife, I'm sure you'll agree I'm one of the most blessed and lucky humans on earth! Garifuna International Indigenous Film Festival 2017: Freda Sideroff Interview! We were honored to meet with Freda Sideroff, the founder of Garifuna International Film Festival! 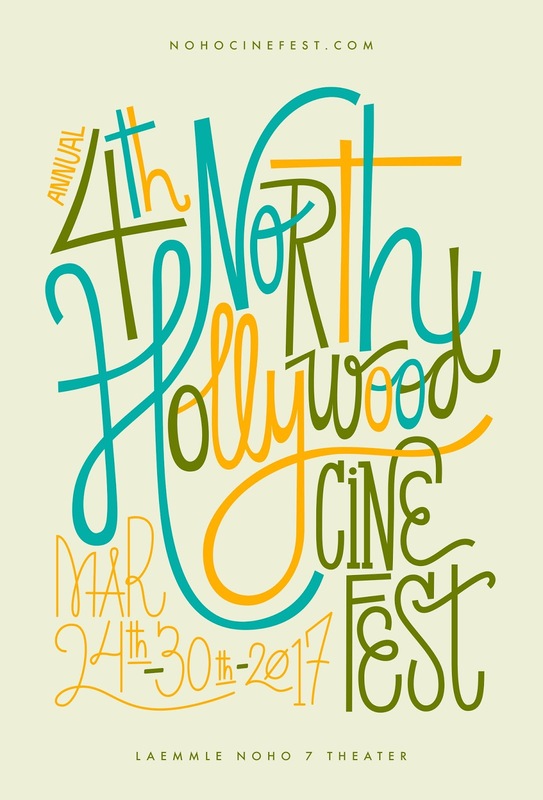 She has channeled the energy of her ancestors to bring Los Angeles a film festival for the voices of all indigenous cultures. 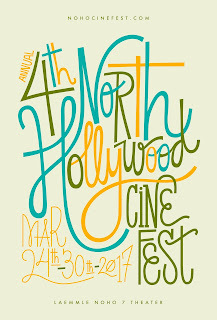 Now on it's 6th year, GIFF begins on Friday, May 12 2017. Make sure you read our interview with Freda below & get your tickets as soon as possible! 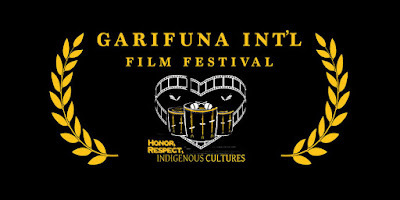 What was your inspiration to create Garifuna International Film Festival? My inspiration for creating the Garifuna International Film Festival are the voices of my ancestors telling me to create GIIFF with urgency to promote the preservation of my Garifuna culture for the future generation to inherit a precious and priceless legacy. What makes GIIFF special is how it brings indigenous nations together providing them with a platform where their voices can be heard in an environment where they feel supported honored as well as respected. How has the festival evolved since its founding in 2012? The festival has evolved from a one-day event where the primary focus was on the preservation of the Garifuna people to now including indigenous nations from around the globe presenting a weeklong event, which now includes an international symposium. My favorite moments so far have been meeting the resilient filmmakers whose films are represented with purpose from around the globe. What are you excited about most this year? I am most excited about the films from around the globe we have 27 films which includes features, documentaries and shorts with opportunities for first time filmmakers as well as experienced award winners such as Paul Redman (Being Embera). Our Symposium on the social impact of immigration scheduled on Saturday May 13th 2pm to 4:30 Sponsored by the Dept. of Mental Health #5, Live Hula presentation with dances performed by: Halau Hula Na Liko Kupukupu I Ka Lani. May 27 Closes the festival with the Ambassadors of Music Awards in Los Angeles promoting the preservation of Garifuna culture through music supporting our artists this to take place at the Egyptian Temple #5 5324 Crenshaw BLVD Los Angeles CA 90043. Kevin Donan is one of my favorite people in Hollywood. Nestled back in the Artisan Patio on iconic Hollywood Boulevard, As The Record Turns provides some rare, authentic energy to Los Angeles' most popular neighborhood. 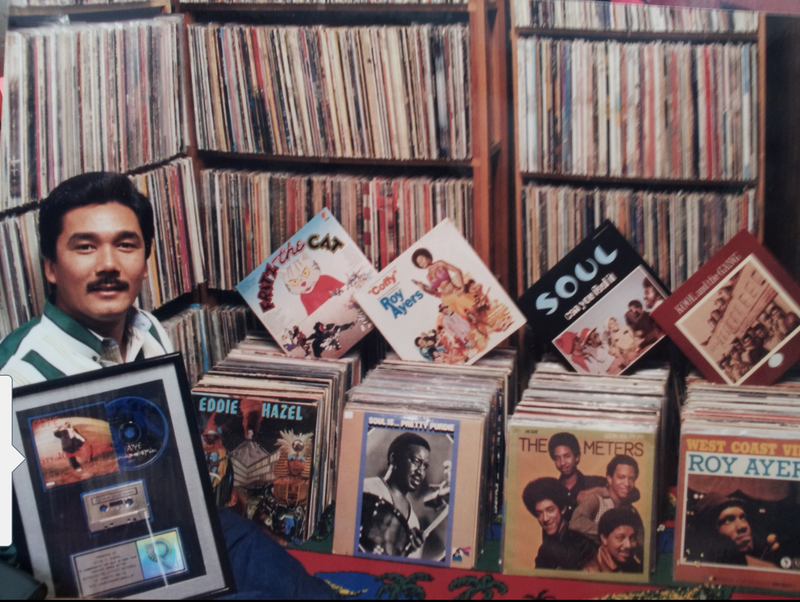 On arrival, you can find two rooms full of exclusive records, vinyls & memorabilia. I had to sit down with Kevin to get his unique perspective on Hollywood & the history of As The Record Turns. How did As The Record Turns start? 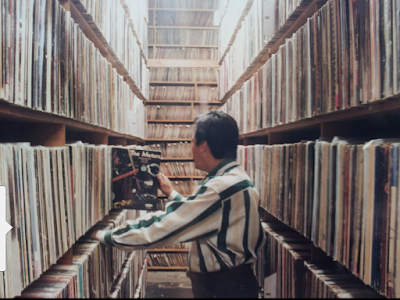 Most people dream of opening a record store and hanging out to make money. Passion for the love of music is what got me involved. In the midwest in Flint, Michigan at the early age of only 16 years old, I self taught myself as a drummer and with my 14 and 15 year old brothers and a couple of long time 16 year old neighborhood friends, we formed a band, The HyperSolMystics. We opened for quite a few famous radio groups that same year, The Dells, The Ohio Players, Parliament Funkadelic just to name a few. 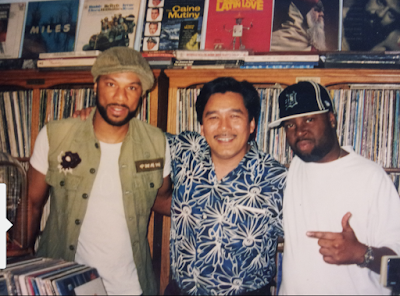 In my early 20's, I came to Los Angeles and got into the entertainment world...like most determined individuals. I was involved in managing artists and signing a artist to Motown's Stevie Wonder. I turned 23. 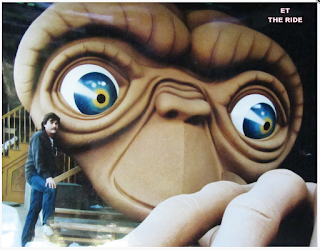 From there, I self taught myself recording engineering in a small studio on Hollywood Blvd. Later I was invited by members of Earth, Wind and Fire, Van Dyke Parks and Harry Nilsson (The Popeye Movie demo), Kool and the Gang, The Sylvers and many others I worked in studio settings. I worked in Capitol Records PRESSING PLANT and learned mastering and pressing vinyl and all that goes with this. I later got married in the late 80's and saw with my wife Monet, the need to have a happy hobby. We opened As The Record Turns in Hollywood in 1987. How many music industry legends have you met? It has been a blessing to just work and communicate in a entertainment industry environment since my teenage life. 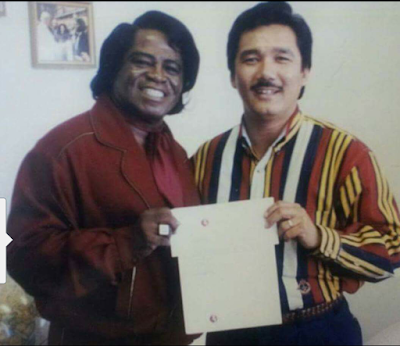 Having met and worked with The Sinatra Family, Bob Hope, Redd Foxx, The Jackson Family, Berry Gordy, the owner of Motown and many artists on their roster, Smokey Robinson, Stevie Wonder, Leonard Cohen, Bobby Womack, I also sold sold Lenny Kravitz his first electric guitar when he was just 14 years old. I have as a consultant worked directly with the Rap and Hip-Hop artists Dr. Dre, Eazy-E, Naughty By Nature, Queen Latifah, director John Landis, Joan Rivers, Frank Zappa, I drummed for Buddy Miles, Paula Abdul, Randy Jackson, Cedric The Entertainer, I share a double platinum hit record with Jay-Z, Adam Sandler, The Waynans, B.B. King, Herbie Hancock, Jeff Goldblum and tons of other jazz, R & B artists, actors, directors and plenty of just good people, like you! What's this new project you're working on? R & B, Jazz, Funk, Blues, Soul and Black Soundtracks. Originally when urban records are pressed, they are released in less limited amounts compared to other genres, Rock & Roll, Classical, Country and Easy listening. Foreign record stores, dealers and collectors from around the world stopped by and bought the more important urban related records to resell back to their country. I saw our history and culture leaving the US and in some cases never to be seen again. So I took the last 4 years to do final research, but also spent quality time to video interview over 70 different people who worked in these movies as producers, directors, actors, musicians, artists and other prominent individuals. They had great stories of the deep struggles to make these movies, the music and their lifes in general. Narrator for our film historical documentary is Emmy Award winner Keith David. Favorite piece of merchandise in your store? My favorite piece of merchandise is all of the records. I enjoyed "buying" for the public. Most of all other stores rely on distributors or record labels to keep them supplied with reissues and CD's over the years with front line, current or radio chart friendly records. 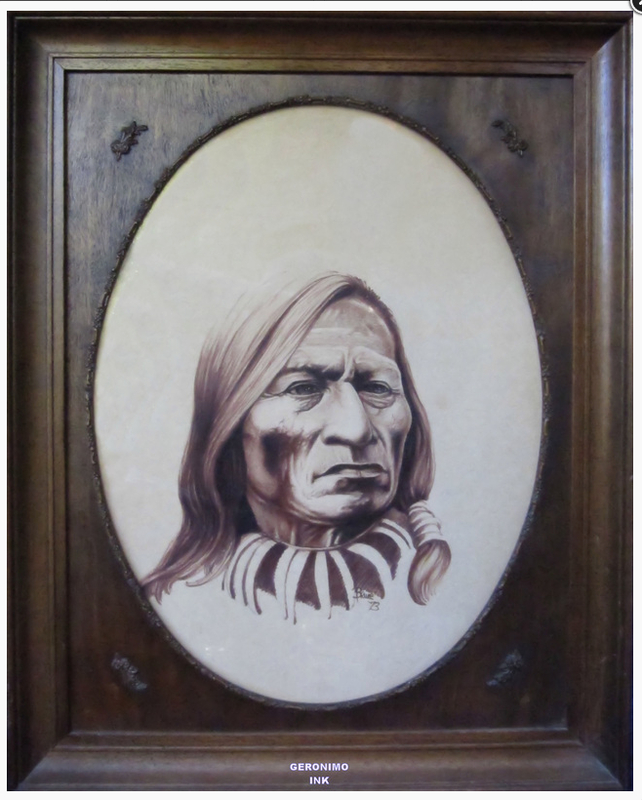 I never have and we only sell originals. If there is a comedy record of Rodney Dangerfield or Richard Pryor, or a rare Sun Ra or Moondog or Miles Davis jazz record or a Johnny Cash, Elvis, or Iron Maiden or a rare soul Gil Scott Heron or an original 1992 Dr. Dre The Chronic album, I will find it and buy it for the store for the daily walk-ins we have from all of Europe to Asia to the neighborhood public. What's the rarest piece you have? The rarest album....well we have over 2 thousand signed albums from The Beatles, Jimi Hendrix, Miles Davis, Pink Floyd, Led Zepplin, Kiss, Tupac, Dr. Dre, many movie and television celebrities and the list goes on. What's your favorite spot to eat in Hollywood? My favorite eat spots are Mussos and Franks, Carneys, Dan Tanas, East Indian Grill, The Griddle, Yamashiros and a burger at the pool side in the Roosevelt Hotel, all these in Hollywood. Stay tuned with As The Record Turns!